Further details on Aldi’s expansion into Western Australia show things are running on time. While Woolworths supermarkets group announced the ditching of the Homebrand private label, analysts say the decision is an attempt to compete against Aldi’s popularity with its private label brands. The Aldi expansion continues regardless with ISPT property fund managers announcing Aldi will be opening in its Halls Head Central Shopping Centre from June 2016. Halls Head is located in Mandurah, approximately one hour drive from Perth. The supermarket will be located in the shopping centre, despite Aldi usually avoiding shopping centres due to higher rental costs. Until the beginning of 2016 Aldi did not operate any stores in either South Australia or Western Australia. 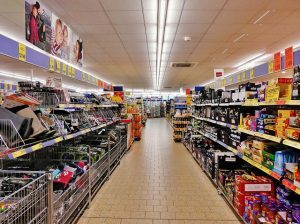 Aldi is currently undergoing work to open a total of 20 confirmed stores in South Australia and 20 stores in Western Australia. Aldi is privately owned. Its first South Australian stores opened on 3 February 2016. These stores are located at Parafield Gardens, Hallet Cove, Seaford Heights and Woodcroft. Meanwhile, in Western Australia, Aldi’s already confirmed locations include Cannington, Southern River, Kwinana, Rockingham, Australind, South Lake, Joondalup, Camillo, Midland, Mundaring and Ellenbrook.